What is a typical Costa Rican breakfast? What is a typical Costa Rican dinner? Is it always a hot meal? What drinks will my family offer me? How does the family normally dress? If we choose the homestay option, will we be able to stay together as a couple? How many students will be staying with my family? Can I change my family if I am not happy? How far is the school from my family’s house? How do we get from our homestay to the school? Do we get our own key? At what time do we need to be home? Can I do my laundry at my host family’s house? After my courses are finished, can I stay longer with my host family? How does ILISA select the families? Can you describe the average room? Do the host families have hot water? What are the alternatives if I don’t want to stay with a family? 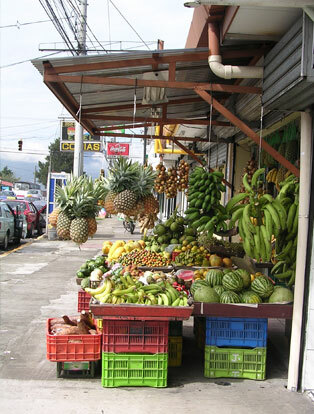 A typical Costa Rican breakfast includes fruit, gallo pinto (which is rice and beans and spices), and coffee or tea. Of course your family can also provide you with cereal, toast, bacon and eggs if you prefer. Instead of having a large dinner, Costa Ricans often have coffee with bread, pastries, cheese and jam, also known as cafecito around 3:00 p.m. and have a light, hot dinner around 6:00 or 7:00 p.m. The dinner usually consists of rice, black beans, meat and salad. In Costa Rica lunch is the main meal. Your family will usually serve you fruit juice or a soda. They may serve beer or wine as well. 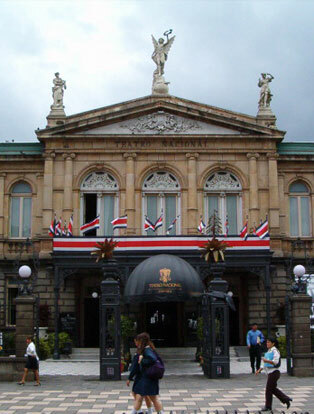 Though Costa Rica is not a rich country, people always take care to be well dressed when they go out in public. All clothes are ironed, sometimes even underwear! It would be a good idea to leave your torn clothes at home even if they are your favorites. Bring comfortable clothes and shoes for school and travel and something nice for a night on the town or a business meeting. Yes. Let us know when you register that you are a couple that would like to stay together and we will find a family willing to accommodate you. Of course, if you feel it will be better for your Spanish, we can put you with separate families within walking distance from each other. It’s ILISA’s policy to put no more than one student per family unless students request otherwise. We do our best to find a family that meets your specifications, but if for some reason, you think that your family is not suitable, we will look for an alternative family. Normally, changing families is no problem. In some cases, we may have to wait a few days before we can make the change. Some families are within walking distance but the majority are within a short bus ride from ILISA. Students never have to cross San Jose nor take more than one bus. Many times students decide to walk to school(25-30 minutes)in order to enjoy the morning air and get to know the areas around them. This depends on where your family lives. Most students walk to the school or take a bus or taxi. 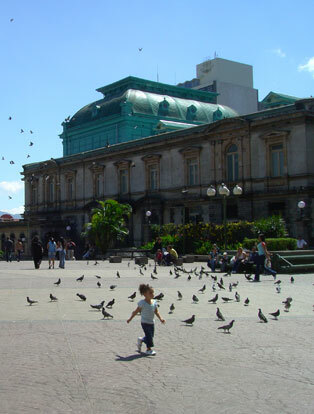 Costa Rica has a well-maintained and inexpensive bus system in San José and the nearest bus stop is always within a few blocks. Taxis are also inexpensive and easy to hail except during rush-hour in the rainy season. You will get your own key to the house. You can stay out as late as you like as you have your own key, but please be courteous and notify your family if you decide to go out so they do not plan on you for dinner, etc. Yes. Laundry service is included in your homestay. Your bed sheets will be changed every week by your host. Your family will also wash your clothing although they may not wash underwear. Normally this isn’t a problem but you will have to check with our homestay coordinator first to make sure there are no scheduling conflicts. If not, you can make the necessary arrangements with the homestay coordinator. No arrangements should be made directly with the family as this may cause conflicts in the homestay planning and it also violates the agreement we have with our host families. 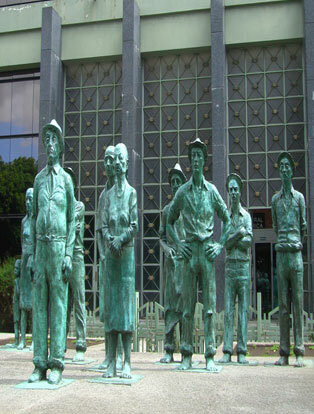 Costa Ricans have a very high sense of hospitality and like to have guests in their homes. At ILISA we look for families that have a nice and clean house, a well ventilated room with enough light, and family members that like to make a student feel part of the family. All houses are inspected personally by our homestay coordinator and families are interviewed before being accepted as a host family. In addition, all our students fill out evaluations of their families to ensure that we maintain our high standards. The average room contains a bed, a closet, a desk, a desk lamp and chair. Many students end up doing their homework in the living room or dining room, aided by their family members. All the host families have hot water in the shower. Water is usually heated by an electric heating device incorporated in the shower head. A few houses have a central hot water tank. There are several so-called ‘apartotels’ which is a combination of a hotel and an apartment, in the San Pedro area, two of them are within walking distance. Apartotels are serviced apartments that can be rented by the day, week or month. They include a fully equipped kitchen and laundry service. In addition, there are several nearby hotels. Please request our alternative accommodation information if you are interested in staying at a hotel.